Just a little bit of boring but important stuff. Tahnee’s Blog is a site where tips and products are shared but it is important that I point out to you, that everything on my blog is of my personal opinion or those of the author. If you have a different one that is great but my blog is where I share my thoughts on many things. You, however, as the reader are responsible for your health and welfare. Any product that is used is subject to personal circumstances such as supplements or makeup products so please use at your own discretion. 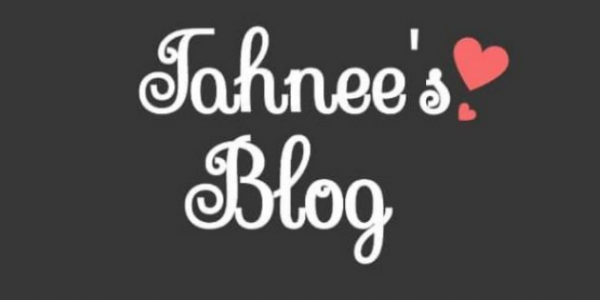 Tahnee’s Blog will not be held responsible for any problems that may arise. Please always consult a medical professional if in doubt. I AM NOT A PROFESSIONAL and there for all opinions on this blog are for entertainment purposes only. Please use all advice at your own discretion. I reserve my rights to change Tahnee’s Blog in any way I see fit as the main contributor and admin of the page. Whether that is to sell the page, move it or close it down. Tahnee’s Blog is not responsible for the actions of our advertisers or sponsors. For example, if you buy a product of service based upon a link from this blog, you must take action with that exact company to resolve any issues, not with this site. In regards to correspondence that is sent to Tahnee’s Blog either here or on its connected social media sites. I may possibly share these so please bare this in mind when sending things. Finally, I must add unless permission is given no original work from this site may be used by anybody. Neither is it to be passed off as someone else’s original work or altered in any way.